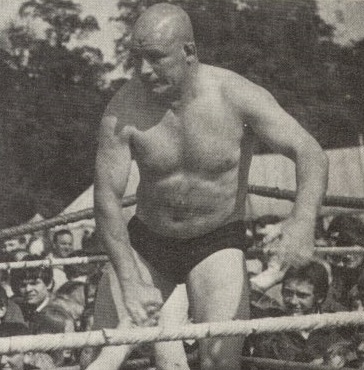 Born Alfred Woodward in Liverpool, the former soldier and scrap metal dealer and the brother of Middleweight Champion Brian Maxine, Buddy Ward as he would later be known in the professional wrestling ranks made his debut in 1959 and from the outset was a tough no nonsense grappler, he took no prisoners in the ring and expected the same from his opponents. During the early part of the1960s Buddy wrestled for various independent promoters mainly in the North of England and was a frequent opponent of popular wrestler Steve Veidor who, like Buddy in later years, hailed from Ellesmere Port. The two men had some terrific battles with their differing in ring styles but nevertheless the bouts were entertaining and were promoted throughout the country. Although Buddy worked mainly for independent promoters, in 1962 the call came from Joint Promotions, this was to be Buddys chance to get known on a national scale as this was, at the time, the only chance a wrestler had to appear on the small screen. However, despite facing many of the top names of the era around the halls of the UK Buddy never got the big television break and soon returned to the independent circuit where he continued to have a good career against some of the lesser known (although just as talented) wrestlers of the day. Although Buddy was not a household name in the UK this did not deter foreign promoters from taking a keen interest in him and he had many successful tours of Europe and Australia. 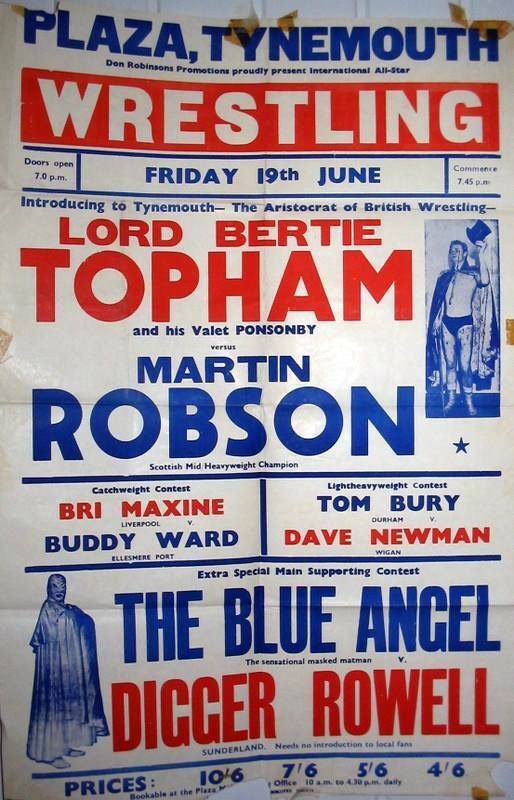 Upon retirement Buddy continued to have a keen interest in the British wrestling scene and with Bob and Jean Bell organised the Ellesmere Port Wrestlers Reunion. This was a very popular and well attended Reunion which sadly had to come to an end when the organisers were unable to arrange it due to ill health. In April 2010, many years after his retirement, Buddy announced that he would be returning to the ring to face the former Lightweight Champion of the World Johnny Saint, this being a man that Buddy had actually beaten on two previous occasions. At the age of 75 this brought Buddy national recognition with vast media attention and even raised interest with the Guinness Book of Records as the Worlds oldest wrestler. Buddy Ward, who had been suffering from ill health for a while was still attending wrestling shows and received a standing ovation at an EPW show in Ellesmere Port on Saturday 13th June 2015. Buddy Ward passed away on Thursday 18th June 2015, may he Rest in Peace.